Veteran Doug uses transferrable military skills in his new role. When Doug finished his service in the United States Navy, he had many decisions to make as he transitioned into the civilian workforce. For many military members, this transition from military to civilian life can be challenging. Fortunately for Doug, he realized his military experience gave him an abundance of transferrable skills. We sat down to talk with Doug, now a business analyst in Human Resources at Citizens, about his time in the navy, to discuss how he made a successful transition. Describe your role and why you came to Citizens. I work in Human Resources Development/Talent Management as a Sr. Business Analyst, focusing on HR data analysis, survey development, and project management. I came to Citizens because I wanted to work for a financial services organization and be part of the exciting changes that are happening in the industry. I recently received a Ph.D. in Business Administration at Temple University’s Fox School of Business, and was a professor in Japan where I taught and conducted research in Management and Information Systems (MIS). When I got the offer from Citizens, I was really excited to get back into the United States to apply my research background to assist with real world challenges facing the organization. What did it mean to you personally to serve in the military? After graduating from the U.S. Naval Academy at Annapolis, I served as a Service Warfare Officer in the Navy. I was the Missiles Systems Officer on a destroyer and then the Navigator on the second Aegis cruiser based out of Norfolk, Virginia. Serving in the military gave me a great feeling of satisfaction by being part of something far greater than one’s self. I felt I really developed as a leader as well as a team player under demanding conditions during my time with my military family. Everyone works hard to complete their part for contributing to the larger good for mission accomplishment. It was a real learning experience managing the ship’s systems while safely navigating to and from foreign ports, making sure we never came close to running aground. What was the transition like from the military to the workforce? It is a BIG transition so it is definitely a challenge. From a job search standpoint, you have to take what you accomplished in the military and express how your skills transfer to a business setting. There are a ton of valuable skills that military people have, but you need to be able to communicate this fact in a way that business recruiters can understand. To help with this process, I attended a number of career fairs and workshops for veterans. The workshops connected me with people in the military who have gone through the transition, and they were able to help me recognize my skills, sharpen up my resume and suggest careers where I would likely fit and thrive. What military skills translate well into the workplace? Leadership and responsibility are two big ones. During my time in the Navy, I was in charge of 30 sailors, half of them older than me. 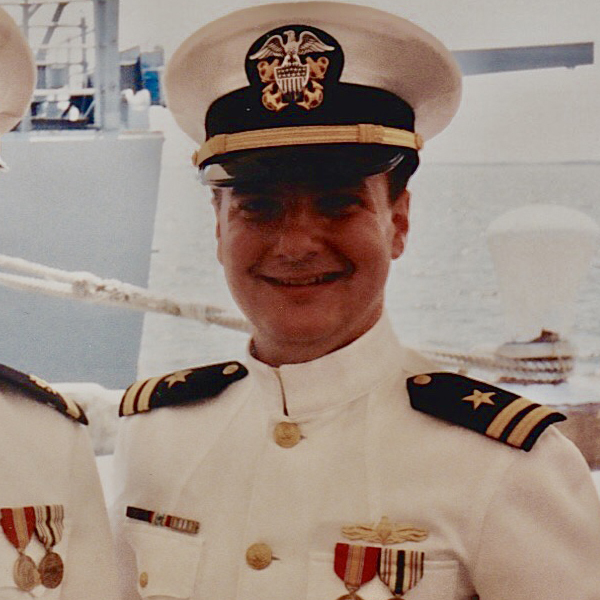 As a surface warfare officer, I would be on the bridge of the ship that had 500 sailors aboard and had to make sure we didn’t get into a collision—it was a huge responsibility. I learned the importance of teamwork and of helping out your fellow sailors to accomplish a given mission and to be proactive instead of reactive, anticipating the changing environment. What advice do you have for veterans looking to head back to civilian work? I would recommend veterans check out the Travis Manion Foundation, a nonprofit organization that provides transition assistance and opportunities for veterans as they head into the workforce. They have workshops and seminars across the country that I found really helpful and a great network of veterans who can relate with one another. Also, LinkedIn offers a one year free premium subscription for all veterans through linkedinforgood for veterans, which connects veterans to employers. Learn more about our numerous career opportunities here at Citizens.